I like camping. I like seeing pictures, hearing other peoples camping stories filled with tales of the great outdoors, communing with Mother Nature. I just don’t like actually camping myself. I did enough of that in the military. Most of my camping though wasn’t in nice tents in well maintained campgrounds with manicured camp sites and an in-ground pool near the building housing the showers. Most of my camping consisted of comforts that came from whatever I could carry on my back; no tent, maybe a poncho for cover, and a bed of leafs, not much else. And in places that were less than hospitable; jungles, the desert, mangrove swamps. They were also places where many times someone was trying to kill you, discretion was the better part of valor as they say, so no evenings sitting around a campfire making s’mores and telling ghost stories. There are plenty of things people do that I once did, that I don’t do anymore. Skydive? Sure, I have nearly 2500 jumps to my name, but those were when I was actually getting jump pay. Now, you want me to pay someone to allow me to throw my overweight middle aged self out of a perfectly good airplane? Sorry. Same goes for all the “Warrior” challenges people do seemingly every weekend. Companies set up military style obstacle courses where people pay for the privilege of crawling through the mud, climb log walls, and jump through fire. Sorry, I did enough of that in the military to never want to do such a thing again. Ever. So I don’t go camping. I don’t bemoan those that do, it’s just not for me. In the last few years there has been a trend known as “glamping”; not just camping mind you, but glamorous camping, don’t sleep on the ground, don’t pitch a tent, spend your “outdoor” experience in luxury. This all leads me to the Jeep. That most iconic of American vehicles. The image of the Jeep comes primarily from their use in WWII. Stripped down vehicles with little comfort, but able to go just about anywhere. Civilian Jeeps sang this mantra at first. In the early days, a Jeep was a capable vehicle, able to go just about anywhere with very little comfort, save padded seats, and an AM radio. It was like camping with a poncho and a bed of leafs. Today the Jeep has become the well maintained campground with manicured camp sites. It has to, in order to compete. There has to be heated seats with lumbar support, stereo, AC, climate control, and power windows. 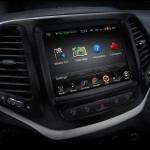 The modern Jeep is less about going off road, and more about trying to appeal to the SUV, and crossover set. And in that they have done quite well. I had a Grand Cherokee SRT a few years back. It was a beast, and I loved it. 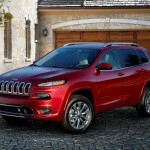 I would put the Cherokee up against many of the SUV and crossovers in its class. 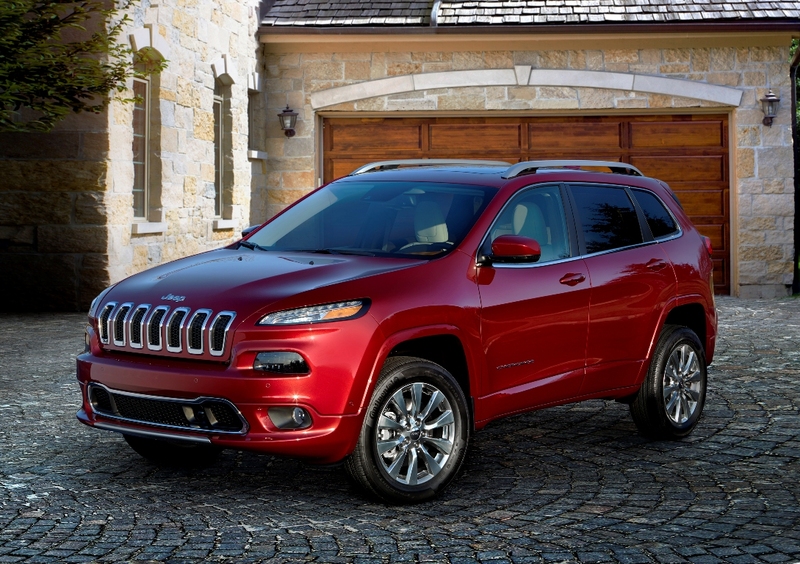 Recently, I had the chance to spend a week with the new 2016 Cherokee Overland. 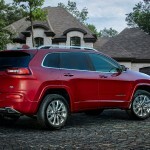 The upscale version of the Cherokee that FCA now offers for 2016; a bit smaller than a Grand Cherokee, which has had an Overland version for a few years. 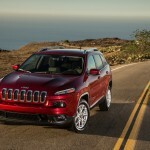 The Overland is actually the upper level trim of the Cherokee above the Sport, Latitude, Limited and Trailhawk. The Overland is more luxurious with more exterior trim, a better-appointed interior, and lots of added features. If the regular Cherokee is a camping in a well maintained campground, the Overland bumps that up to glamping. Inside there’s Berber carpet, an premium Alpine stereo, fancy wood trim, nappa leather, heated and ventilated seats a leather-covered dashboard and special polished 18-inch wheels. There’s a lot of standard features, like keyless entry, ignition, with remote start, rear view camera, an 8.4 inch touchscreen with Uconnect, navigation, satellite and HD radio, and a power lift gate, just to name a few. 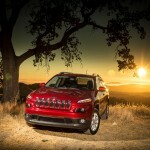 The Overland can have either a 184-hp 2.4-liter four-cylinder or a 271-hp 3.2-liter V-6. Power is delivered to the road, or ground, by a nine speed automatic and if it’s the 4X4 variant by Jeep’s Active Drive II four-wheel-drive system with selectable terrain modes. Options include a Heavy-Duty Protection Group with the V-6 that includes a full-size spare tire and skid plates. 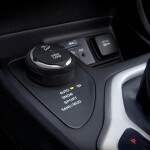 The Technology Group adds rain-sensing wipers, a wireless charging pad, a sunroof, and driver aids such as lane-keeping assist, automatic high-beams, parking assist, parking sensors, adaptive cruise control, and forward-collision warning with crash mitigation. My tester for the week was the 4X4 Overland (why someone would opt to NOT have 4X4 capability on any Jeep is beyond me). I also had the V-6, and the Technology Group. The interior is indeed smaller than the Grand Cherokee, but this is a mid-size SUV after all. 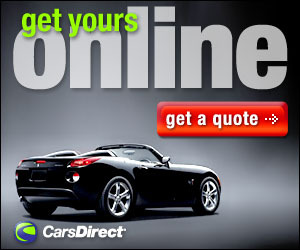 On the road, the drive was smooth, responsive, and the nine-speed transmission kept up with the demand. Of course the Overland didn’t perform like the SRT, but it was far more luxurious, and that’s the intention; glamping instead of sleeping under a poncho. 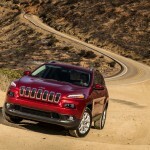 All the camping clichés aside, what the Cherokee shows is that Jeep is no longer the stripped down 4X4 it once was. Today it can hold its own against any of its SUV and crossover cousins. 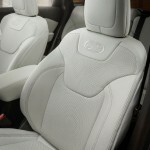 And with the top of the line Overland trim it can hold its own in luxury and style. 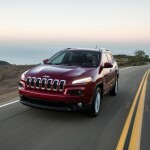 You may not find me at a campground, crawling through the mud, or jumping out of a perfectly good airplane anymore, but if I were looking for a midsize SUV, the Jeep Cherokee would be my first destination.